"Apple II: Artists Examine Temptation"
Broadway Gallery is happy to announce the Traveling Group Exhibition titled Apple II curated by Tchera Niyego. 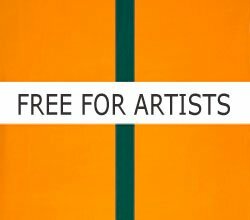 The 22 artists participating from all around the globe are: Terrence Allen, Vera Arutyunyan, Aviva Beigel, Carruco, John F. Champoli, Vincent Elliott, Clifford Faust, Patrick Fenech, Iris Genevieve, Peter Harrap, Hans Johansson, Milena Jovicevic Popovic, Saroushka K., Gencay Kasapci, Aleksandra Jarosz Laszlo, Pietro Maffei, Francesco Mai, Keith Morant, Gunilla Oldenburg, Mark Rodriguez, Michelle Sakhai, Irina Urumova and Yilmaz Zenger. The exhibition will be held from May 1-15, 2007. Aviva Beigel, Aleksandra Jarosz Laszlo, Keith Morant, and Irina Urumova are Premiere Portfolio Members at absolutearts.com. Being exhibited at Color Elefante Galleria in Valencia, Spain and at NY Arts Beijing Gallery in China, the Apple II Group exhibition is now open at Broadway Gallery, NYC. These artists come together to bring their ideas, feelings, thoughts and actions on an old yet ever-new subject of Temptation: the Apple. The most primal temptation we fall into as humans to perceive ourselves to be separate and in consequence believing matter to be unquestionably solid and real. The Old Testament gives us a clue as to �apple�, in fact being a mistranslation from Hebrew of a pomegranate, seeming multiple seeded inside yet being one fruit. Once we start questioning multiplicity as a given we can soon start questioning the one as well-�which time and again brings us to question and examine temptation, each individually and together as a people. The original Apple exhibition in NYC at Broadway Gallery has been co-curated by Basak Malone and Tchera Niyego on July 16- 31, 2006 with participating artists: Colette Banaigs, Irena Dukule, Gudrun Vera Hjartardottir, Clifford Faust, Patrick Fenech, Basil C. Frank, Menachem Granat, Stephane Gubert, Shin-Hye Park, Stephen Pauley, Irina Urumova and Yilmaz Zenger. Read the feature at absolutearts.com of the original Apple exhibition.